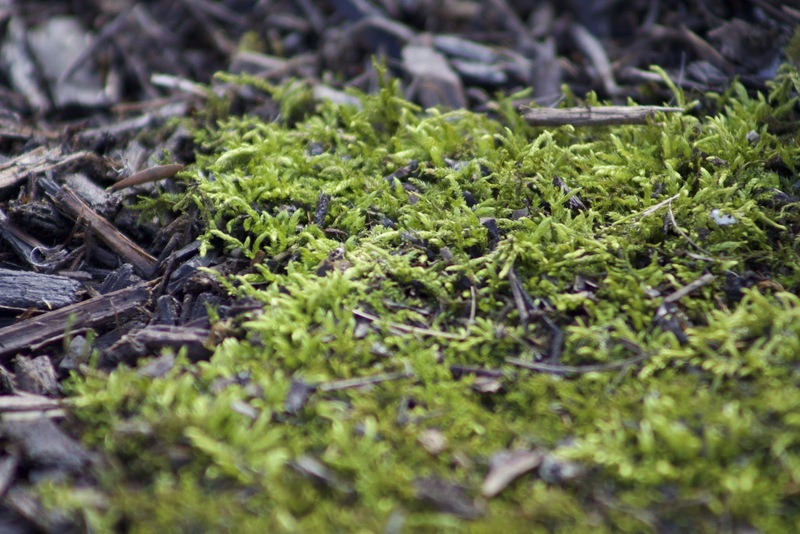 I have several different kinds of moss in my yard, most of which I've transplanted from sidewalks and fields into my garden because I like the look of moss. Here are some close up photos taken with Canon T5i using narrow depth of field to make them look super cute and small. To get this tilt-shift appearance, I used a low f-stop number (wide open aperture) and zoom lens on a tripod using what I learned playing with the aperture settings for sunset photos. I haven't been able to identify the specific species of moss just yet. If you recognize something, feel free to give some input in the comments below! I am just learning the basic types of moss so far and some general identifying characteristics - so I'll do my best! I found the article Knowing your Acrocarp from your Pleurocarp very helpful. 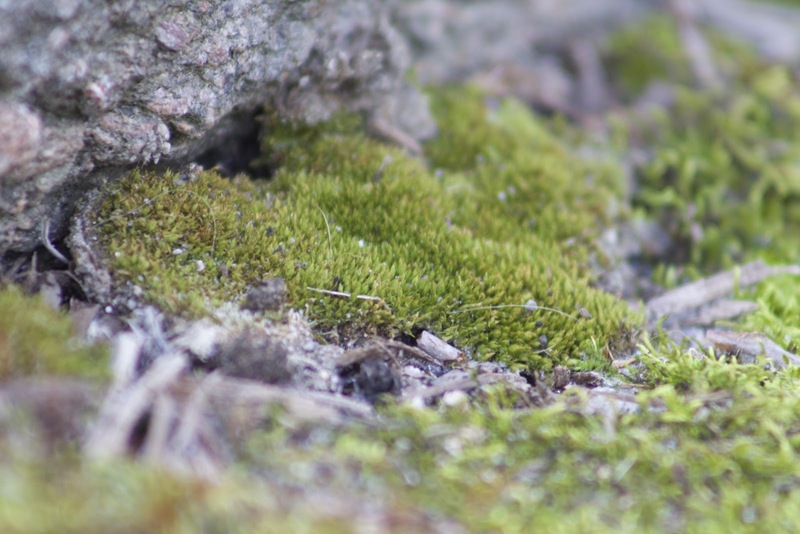 I would love to be able to identify moss just by looking at it, but I'm not quite there yet! 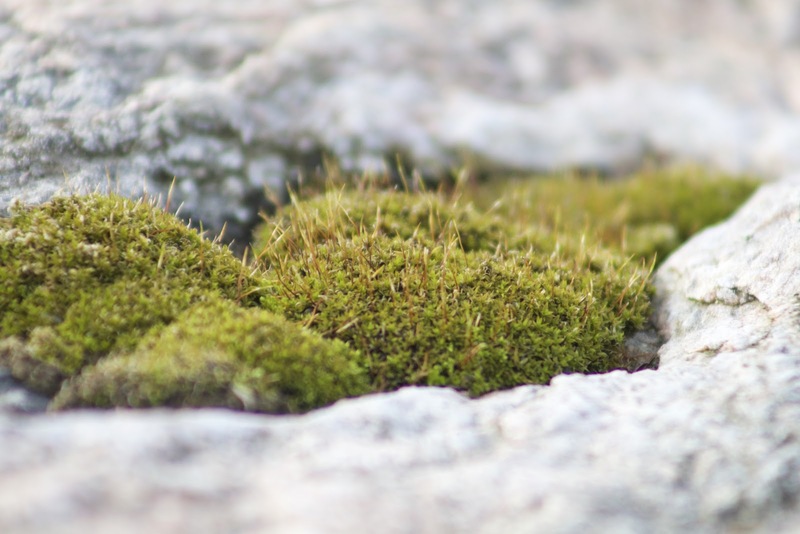 Some type of Acrocarpous clumping moss gathered from the north slope of a field and transplanted to a rock in full sun. It seems to come back to live each time it rains, and the indentation in the rock provides a little pool to collect moisture. 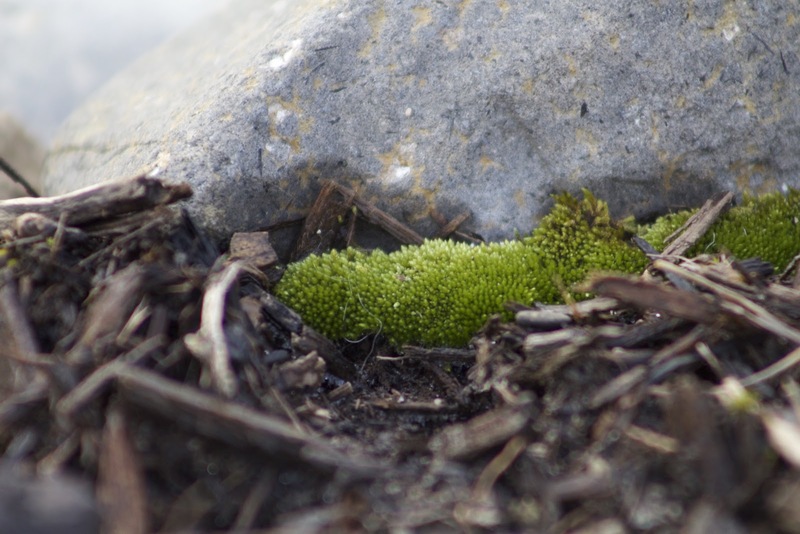 Another clumping Acrocarpous type of moss, this one is bright green in the middle of winter! I found it in the crack on a sidewalk down the street. Transplanted to the shade of a rock garden. Here's another bright green bit from the same sidewalk clump as the one above. This looks to be another Acrocarp - I found this clump growing at the base of a crosswalk signal on campus at IUPUI in Indianapolis. I grabbed a bit and put it in my lunchbox to bring home with me. Not as bright green, but a very thick clump. 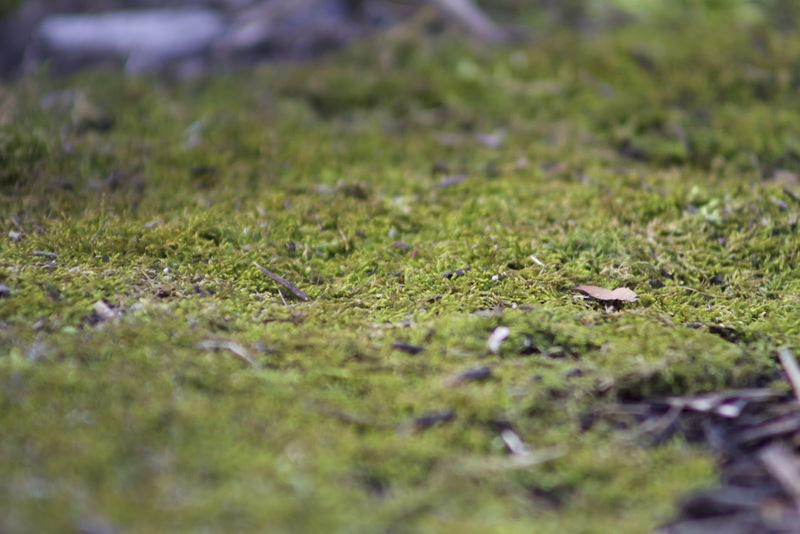 A large mat of Pleurocapous moss gathered from a shaded asphalt path by my parents' house in Ohio. It's very slim and dense, but doesn't have the cushion appearance that the Acrocarps do. A mat of Pleurocapous fern moss from the same shady path in Ohio. This stuff looks awesome, and it was growing on a thin layer of scum on top of asphalt. I'm hoping it takes in the shade of rocks in my garden. I think this is some type of Thuidium or fern moss based on its appearance, but I'm not really sure! 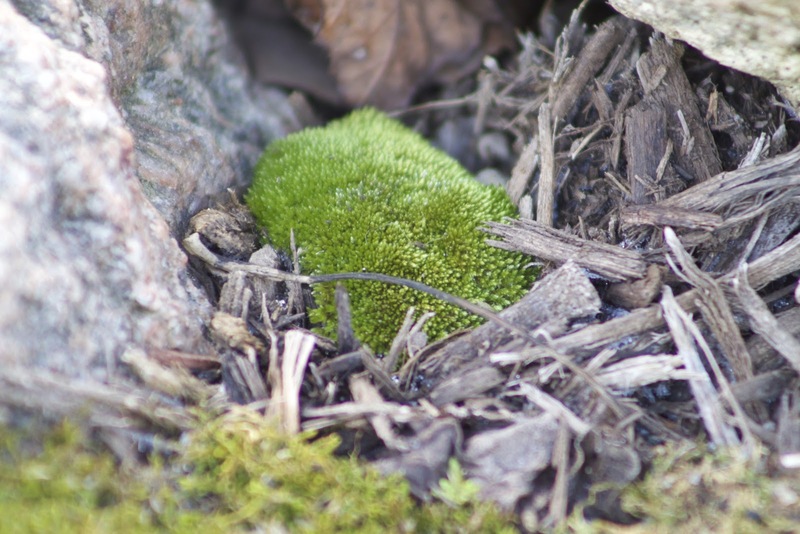 This is the only "natural" growing moss in my yard so far. 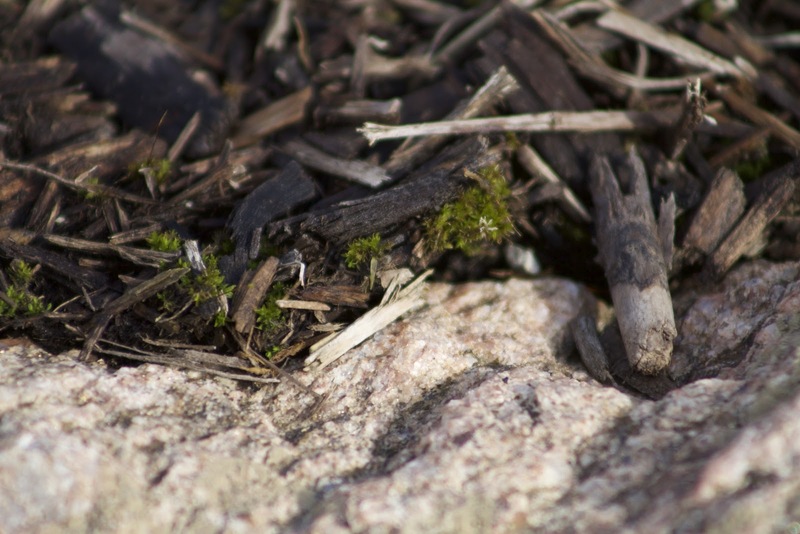 These little tufts cropped up in the damp mulch next to the rocks. It's slow growing, and it's winter right now. Can't quite tell if this will turn into the pin cushion type of continue sprawling in these little bits.